I am celebrating this week!! In case you haven't already been bombarded with the news, and even if you have, let me take just a minute here to share my pure delight about joining THE COZY CHICKS. These wonderful women -- my good friends -- have welcomed me into their blog and I couldn't be happier to be here now as a regular - a genuine Chick! Even though I've guest posted here on occasion over the past couple of months, I'm looking forward to being here every Thursday and getting to know all of you even better! 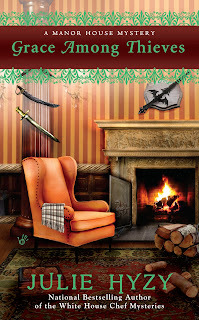 This is a double-whammy week for me because my latest Manor House Mystery, Grace Among Thieves, just came out Tuesday. Yep, it's brand-spanking new. This is the third book in the series, but I'm as excited about it as I was when the first one came out. More, if that's possible. Grace really gets into deep trouble this time and the more danger my characters face, the more fun I have writing. I hope you'll visit Marshfield Manor to find out who's stealing its treasures. Come for the tour... stay for the murder! 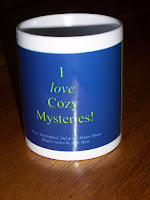 Because I'm absolutely bubbling with enthusiasm here, and because I'm hoping Grace entertains readers as much as she and her gang entertain me, I've got a Cozy giveaway going on, but it ends Sunday at noon, so please take a look at this link (personal blog) today to find out how to win a Grace-themed "I love Cozy Mysteries" mug. Isn't it cute? 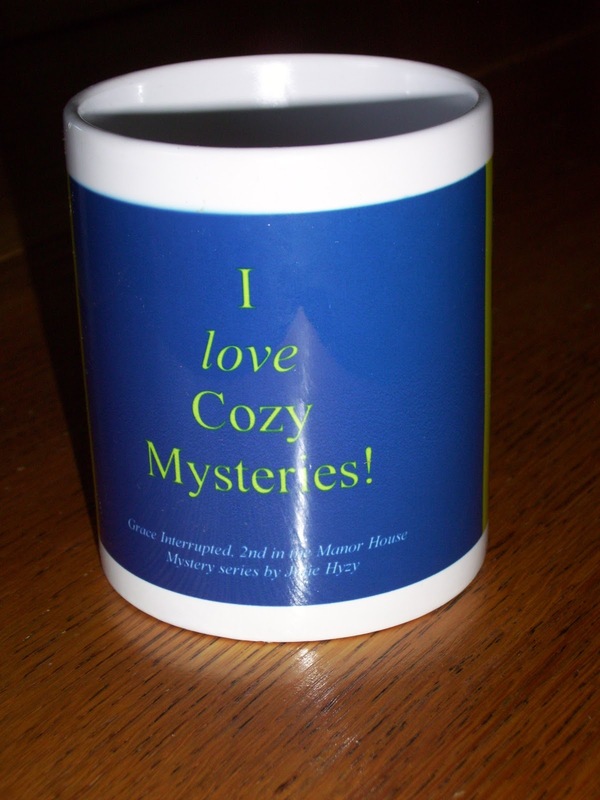 You can't tell from this shot, but the mug also features the cover of the second book in the series, Grace Interrupted. I picked that cover because it goes so well with that vibrant blue and because I just really, really like it. I hope you'll join me in celebrating my new "home" here at Cozy Chicks and my release week for Grace. Thanks so much for all your comments and questions during my earlier visits. Keep 'em coming! I'm grinning here as I'm writing this! Can you tell? I hope you are, too! And I'm sure I'm not the only one in an ebullient mood. Is there anything you've recently celebrated? Or that you're especially looking forward to? Share it with us! Welcome to the Cozy Chicks, Julie. Thank you all! I'm thrilled to be here. But I bet you already guessed that! Hiya, Julie~ I'm always happy to see you. Congrats on joining the Chicks and on your new release! Looking forward to the latest of Grace's adventures! Welcome to the Cozy Chicks! I look forward to seeing you here every Thursday! Thanks, Kristin A. Hope you enjoy! Hey, Lynn!! Thanks for the congrats. I hope you like the newest Grace. I had a lot of fun writing this one! Hi, Linda! Thanks so much. I'm excited to be here! Welcome to the Cozy Chicks. Celebrating that friend may actually be cancer free. So happy for you, Julie, to be an official part of the Cozy Chicks. I come to this blog when I need cheering up, something new to learn, something to laugh about ....or cry. You ladies have opened up your lives to those of us who read your books and we are so grateful. 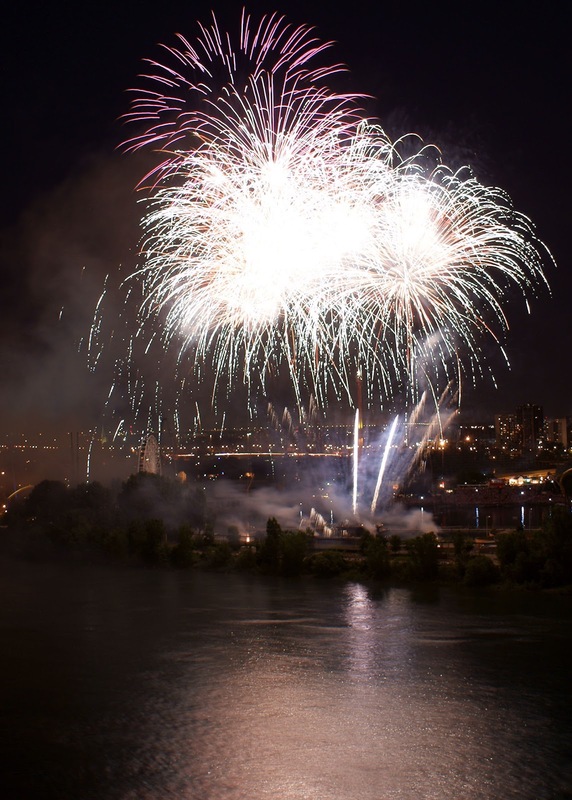 Thanks for writing such informative, fun, and always interesting 'segments' on "your days". Congrats again, Julie, on Cozy Chicks and your new Grace which I am reading right now!